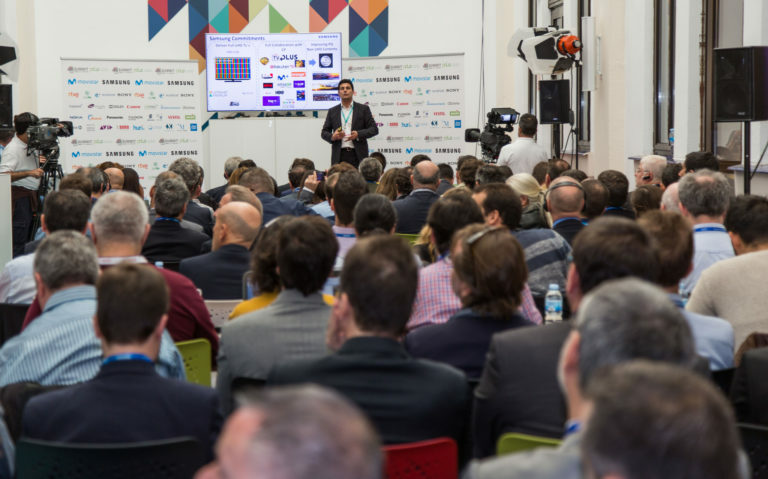 The 4K Summit, held on November 7, 8 and 9 at the Digital Content Hub in Malaga, has today made public its final agenda, which consolidates as the most important international meeting of experts in technology and content producers on Ultra High Definition (UHD). In total there will be 20 keynotes and 7 panel sessions offering reports, proposals and visions on this new technology, which for three days in Malaga brings together the best speakers from other international forums such as the NabShow in Las Vegas, the IBC in Amsterdam, the MipCom and MipTV in Cannes, and the Lucca Forum, among others. From the point of view of Medina Media Events, the organiser of the event, this year’s agenda overcomes that of 2017 and raises even more the level of speakers and the number of sponsors. 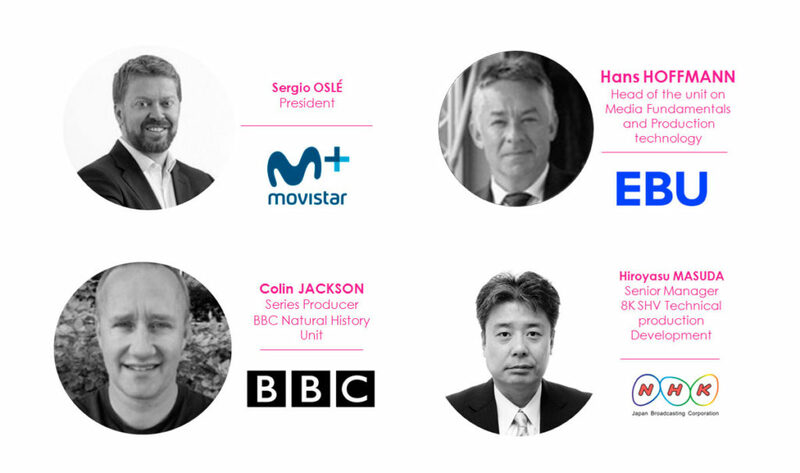 The opening session, on Wednesday 7, will feature the participation as speakers of the president of Movistar+, Sergio Oslé; Dr. Hans Hoffmann, head of the Media Fundamentals and Technological Production Unit of the European Broadcasting Union (EBU); the senior producer of the Natural History unit of the British BBC, Colin Jackson; and engineer Hiroyasu Masuda, Senior Manager of the 8K Department at the Japanese NHK. In addition, the Korean multinational Samsung, one of the main sponsors of the event along with Movistar, will be represented by Nacho Monge, TV & AV Marketing Manager in Spain; and the French company Eutelsat by its Vice President of New Formats, Michel Chabrol. The consultant Mohammed Hamza, senior analyst of the North American multinational Kagan, a division of Standard & Poors Global Market Intelligence, will be in charge of offering the attendees of the 4K Summit the current picture of the 4K worldwide. RTVE, Movistar+ and Vestel will share with the audience their vision of the arrival of the 4K in homes, thanks to the connected televisions. The importance of audio and music in Ultra High Definition will be addressed on this first day by Yannick Dumartineix, from Radio Television Switzerland, and by the German Fraunhofer, with its Director of Business Development, Alfonso Carrera. The second day, Thursday 8, will be dedicated, in its early hours, to Sports. The CEO of the French production company HBS, Francis Tellier, who in collaboration with FIFA organized the television coverage of the 2018 World Cup in Russia, will open the speech dedicated to the production of live sports in 4K-UHD. Sony, through Norbert Paquet, will tell its experience as the brand chosen as the main supplier of cameras for the FIFA World Cup in Russia, which was the first major global event produced entirely in 4K-HDR. Next, a panel with Ian Nock (Ultra High Definition World Forum), Guillermo Jiménez (Olympic Broadcast Services), Mickael Raulet (Ateme) and Emili Planas (Mediapro), will review the experiences of 4K this 2018 in other events such as the Winter Olympic Games in PyeongChang (Korea), Roland Garros (France) and LaLiga (Spain). 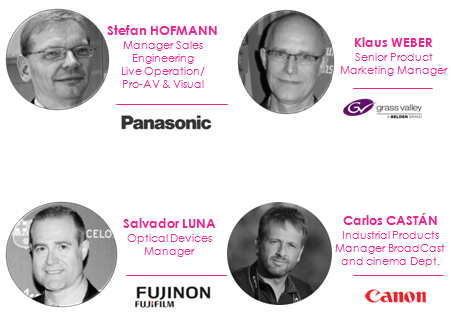 Presentations by Ian Lowe (Dolby), Miguel Ángel González (Huawei), Stefan Hofmann (Panasonic), Klaus Weber (Grass Valley), Salvador Luna (Fujinon) and Carlos Castán (Canon) will complete the morning session from the manufacturers’ point of view. In the afternoon, it will be time to get to know the new technological solutionsof multinationals such as Movistar (Rubén Mellado), Nokia (Álvaro Villegas), AJA (Kevin King) and the advantages of 5G for Rohde&Schwarz (Juan Pachón), Cellnex (Xavi Redón) and Hispasat (Daniel Castro). In addition, a final session of conferences focused on the new horizons that are being opened for content with Ultra High Definition (UHD) will allow the French Olivier Chiabodo (The Explorers Organisation), the Italian Mirko Mastropietro (Sky Italy) and the Spanish Carlos Díez de la Lastra (Les Roches Marbella) to be heard. Indeed, Les Roches and Medina Media Events, organiser of the 4K Summit, will offer a cocktail on Thursday night to present SUTUS (Space & Underwater Tourism Universal Summit), the first international summit on space and underwater tourism, which will take place in Marbella on March 20 and 21, 2019. Finally, on the third day, Friday 9, the star of the 4KSummit will be Thierry Fautier, president of the Ultra High Definition World Forum (UHD Forum). Fautier will give his lecture on “Where is the 4K now and where is it going? Next, UHD Forum Communications Director Benjamin Schwarz will explain the 4K Ecosystem Map at the industrial and standards level around the world. 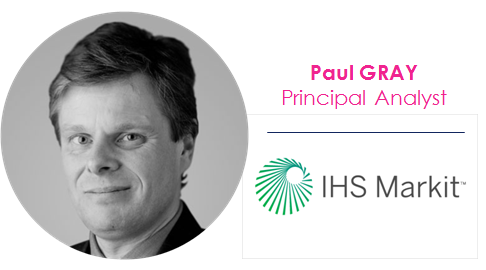 Paul Gray, senior analyst at the British multinational consulting firm IHS Markit (with more than 16,000 professionals on five continents), will summarise the most important headlines left by the fourth edition of the 4K Summit and offer his forecasts on the evolution of the 4K in the coming years. The ending of the 4K Summit 2018 will have the personal name of Colombia, country that will host on July 9 and 10, 2019 the first edition of the 4K Americas, the Latin American edition of the 4K Summit. The CEO of Extenda, Vanesa Bernad, will moderate a panel in which high executives of the National Television Authority and Caracol Televisión will participate. 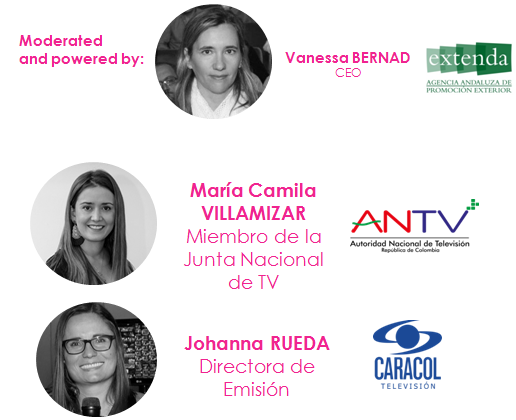 María Camila Villamizar (ANTV) and Johanna Rueda (Caracol) will discuss women’s empowerment in television, Colombia’s commitment to the Digital Content Economy and 4K content, and its support for 4K Americas. Throughout the three days, networking will be the protagonist in the breakfasts offered by Esca Catering and sponsored by MediaKind in collaboration with Mome, and by Axión; the cocktails with Sabor a Málaga “El sabor que nos une” and the Happy Hours offered by Cerveza Victoria and sponsored by Medina Media Events and Tedial. In addition, other Spanish technology companies such as Axión, Tedial, RTVE, RTVA, Hurí and SONO also sponsor the 4K Summit, which has the collaboration of institutions and public companies such as Extenda, Málaga’s Town Hall, ProMalaga, the Diputación de Málaga and Europa Creativa Media.